Notes: Made in January 2010. Entirely hand sewn. 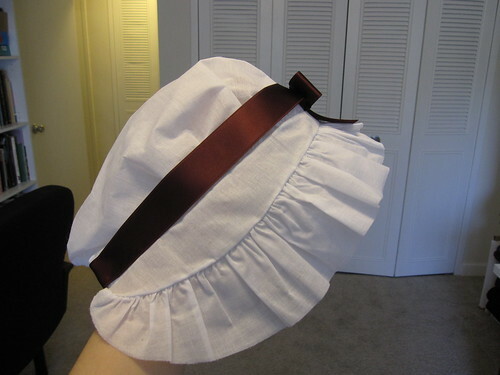 I did not hem the ruffles, as I found that this fabric does not fray much, if at all. I have since decided that the size of this cap is a bit large for me.